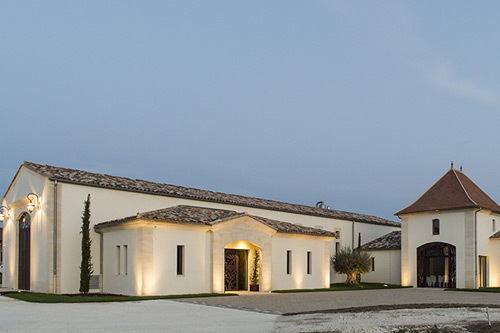 In the Bordeaux region, near Libourne, Chateau Haut-Goujon, 18 ha (44 acres), is located on 2 famous appellations : Lalande de Pomerol and Montagne Saint-Emilion. 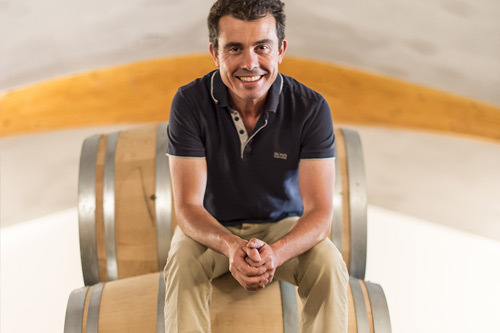 Chateau Haut-Goujon's terroir consists of gravelly-sandy soil on the Lalande de Pomerol's side, and clay and gravel soil on the Montagne Saint-Emilion's side. A natural and unusual characteristic in the subsoil, traces of iron oxide, gives to Château Haut-Goujon's wines their unique character. At Chateau Haut-Goujon, Merlot is the King variety, with 75% of the vineyard. Then come Cabernet Sauvignon (15%), Cabernet Franc (5%) and Malbec (5%). Year after year, they are combined in a beautiful blend giving elegance and complexity to the wine. Close to the Atlantic, between the Isle and Dordogne rivers, Chateau Haut-Goujon receives their beneficial influences. Its hot, sunny and humid climate is perfect for its wines! The 4th generation winemaker frontward. The vineyard of Chateau Haut-Goujon came to life at the start of the 20th century when Elie GARDE planted the first six hectares of Merlot. 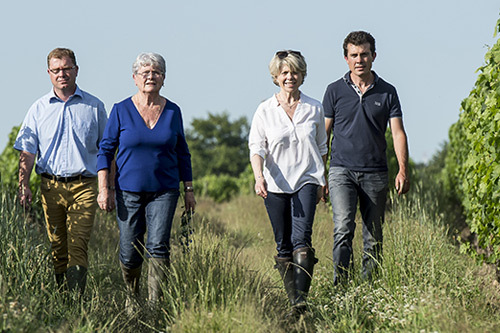 4 generations, one century and 12 more hectares of plantation later, the 3 children of Henri GARDE (Elie's grandson) joined the family business. It is a wine with a deep purple color with complex aromas of red fruits and spices. A discreet oak in the finish gives a good balance to the wine suitable for aging. The dress is purple. The nose is, after aeration, quite opulent, with aromas of ripe red and black fruits, underlined by spicy notes. Notes of ripe fruit and a spicy, peppery persistence give it freshness. A discreet wooded, harmonious structure give to this wine finesse and fruity. the palate is fresh, structured, the tannins are present but with great finesse. A concert in a magical fruit concentration. The finish is powerful with both tannic texture and creamy. the mouth is slightly greedy round of great subtlety. A real treat. The more we advance, the more the wine can be discovered: leather, coffee, red fruits arrive successively. The finish is emphasized by tannins present but not aggressive. the mouth is smooth, round, tasty, ample, with fruity aromas, vanilla, creamy, and plenty of freshness. The finish has an harmonious and balanced structure. An intense color almost black, powerful aromas reminiscent of ripe fruit, vanilla and woody reveal sustained. Very concentrated and bold attack, it is a wine that has both charm and a significant aging potential. A very feminine wine, smooth and pleasure. An intense color almost black, powerful aromas reminiscent of ripe fruit, vanilla and woody sustained. Very concentrated and bold attack, it is a wine that has both charm and a significant aging potential. 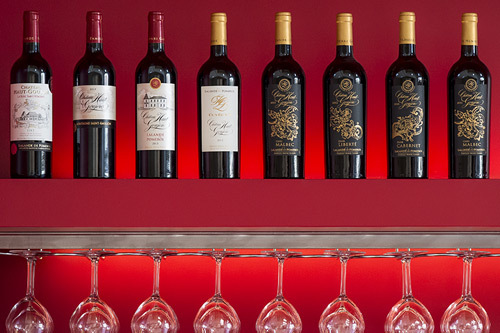 Expressive, this wine reveals aromas of spices and menthol. The flexibility and balance of his structure enable it to drink today.